Can I use my car insurance when I rent a car? Can I use my insurance when renting a car? You should never feel pressured to buy the car insurance offered at the counter when you are renting a car. Instead, you should feel confident in the fact that you know whether you need the supplemental plans that are being sold. 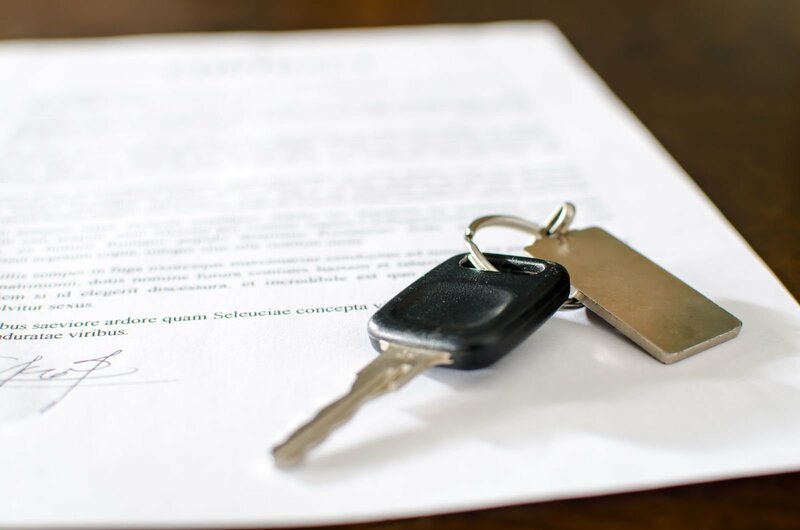 There is a lot of confusion behind how a personal auto insurance policy works when the named insured of the policy is renting a vehicle for short-term use. A majority of standard insurance policies do cover rental cars. Read on and find out when you should purchase a specialty plan just for your rental and when your car insurance policy is just fine. Start comparing car insurance rates from multiple companies now by using our FREE tool! How does standard car insurance cover a rental car? What are some common personal car insurance limitations?. — What types of rental cars are covered? — How long is a rental covered? — Where will coverage remain active? — What does your car insurance carrier pay for? — Is loss of use covered? If you own a car and you are renting for recreation or as a temporary replacement, the rental will be covered. If you were to skim through your policy booklet, which hardly anyone does today, you would find a section that defines the covered autos on the plan. The listed vehicle is a covered auto and so is a temporary replacement car, but you need to know how your coverage is going to extend. Your liability cover will follow you when you are driving your own vehicles and eligible non-owned vehicles to which you do not have regular access. The liability protection is what pays for third-party damage and injury claims and can help you avoid lawsuits if you have been found to be negligent for your actions. Whatever limits you carry on your policy will extend to the rental, but in many cases, if you are driving out of state, the limits will bump up to minimum requirements so that you are in compliance with the law. Full coverage is defined as carrying both comprehensive and collision coverage on your auto insurance. If you carry full coverage on one or multiple vehicles on your policy, you will be relieved to learn that your coverage that you carry will extend to cover a rental’s damages if the rental is in your name. If you have different deductibles on different vehicles, the broadest type of full coverage carried is the one that will apply to your rental. The deductibles will match and you will still have to pay the deductible before the damages will be repaired by a shop that the insurer recommends. Having a high deductible may be a reason to sign a collision waiver if you are not prepared to pay $1000 after suffering a loss. You should familiarize yourself with the standard industry limitations and also ask your insurer the hard-hitting questions before you decide supplemental insurance is not for you. Not all types of coverage will extend to all types of rentals. If you are renting a private passenger vehicle like a full-size sedan or an SUV, your liability coverage and physical damage coverage will both extend. If, however, you are renting a luxury vehicle or a commercial vehicle, the vehicles might be excluded as a replacement car. A replacement car is defined as one that you are using temporarily. This means that you cannot rent a vehicle for months at a time and expect the coverage to extend. Most insurers have a limitation on how long the coverage will extend, and that time frame is usually between 14 and 30 days. You more than likely know where you plan on driving when you rent a car. If you are driving out of state, make sure that your coverage will stay active across state lines. In most cases, a personal insurance policy will cover drivers all over the country. If you are going to drive over the border to Canada or Mexico, however, you will need special insurance. The insurer is only going to pay for certain types of expenses associated with a loss, regardless of whether it happens in a rental or not. You should call your company and ask a claims agent what types of fees and expenses are covered. Towing charges, storage fees, and administrative fees can add up. You also need to know how the maximum repair costs are calculated and if the insurer will allow the agency to choose the mechanic. If these are not covered, you may want more cover from the agency so that you do not have to worry about anything. Loss of use can become a sore subject when you are filing a claim for repairs on a rental. Loss of use is a charge that adds up the rental fees for the period of time that the car was being repaired. Since the vehicle was not available for rent, the company lost profits and will charge you for this loss. Most personal companies do not offer loss of use coverage. You will need to buy a collision damage waiver through the agent. Otherwise, you might get a bill for damage months later after you think everything is settled. You can save a pretty penny on the car rental insurance rates when you know how your insurance can be used. If you are not confident that your coverage is enough, you should assess the types of insurance available to you at a daily rate. You can also consider buying coverage from a new provider who will offer you better coverage for rental car claims.